Its that day again when I can’t stop browsing through hundreds of Stunning Sabyasachi Summer Bride photos on Instagram. There are so many colour choices, embroidery options, fabrics and more. For any bride it is a mammoth task to narrow down on a favourite look. If you have the budget to buy a Sabyasachi, then this blog post will give you some ideas to bookmark. Love pastels or pop, simple elegance or over the top. There is something for every bride to be in this blog post. P.S. At this point, I should point out to you that buying an affordable Sabyasachi Lehenga is actually possible. Do check out the link to see the price range. 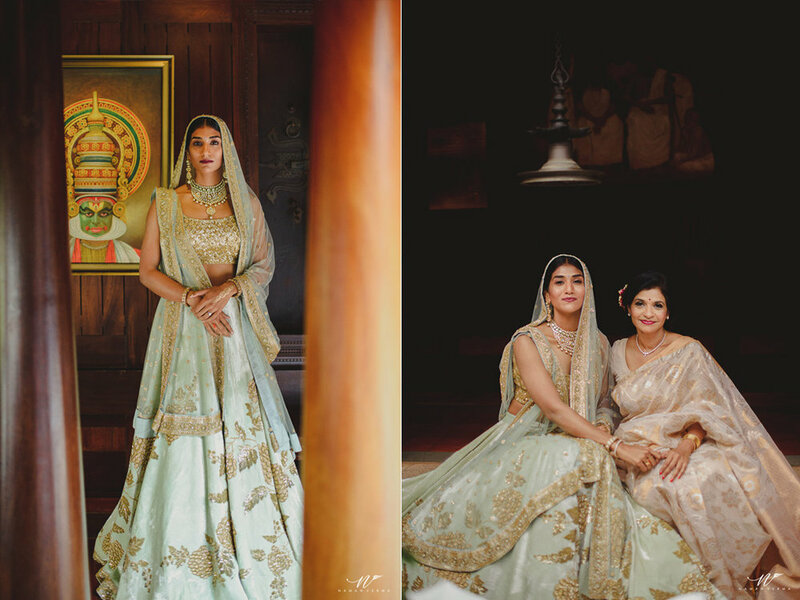 You never know may be your dreams of being a Sabyasachi Bride is actually achievable. The Sabyasachi’s Spring Summer collection which was launched recenly had a lot of surprise elements. From big florals to neons and more, brides to be were really spoilt for choice. Unfortunately though, I didn’t see a whole lot of brides opting for the minimalist look for their wedding day. Instead they opted for a more traditional heavy embroidered Sabyasachi lehengas. Don’t get me wrong, I love seeing traditional brides. But once in a while, it does feel like done to death look on brides. Know what I mean? So if you don’t wish to fall in the same rut, then here’s what you got to do. Check out some amazing Stunning Sabyasachi Summer Bride inspiration photos from below. Tell me which look is your favourite? Dreamy, whimsical, whites and pastels are what are trending this season. For summers especially, Sabyasachi has tons of options in lighter hues. I know the images above show heavy garments like velvet, and intricate embroideries but you can imagine the possibilities. Customizations in a big part of being a Sabyasachi Bride, and depending on your budget, you can see what suits your dream lehenga vibe. Softer the better I’d say. If you thought Anita Dongre Baby Pink lehengas are the only way to go, think again. These gorgeous new collection Sabyasachi lehengas are dream bridal outfits. The beautiful detailing vs the rich fabrics, it all depends on the style you prefer to wear. Anushka Sharma’s Pale Blush Pink Sabyasachi Lehenga has been a favourite of brides ever since the actress got married to Virat Kohli. Her perfect Tuscan Villa wedding has now become sort of a theme for weddings. i see so many wedding decorations with pristine white roses, and peonies. It’s just gorgeous. Keep in mind, the Sabyasachi Lehengas shared on this blog post are the more heavy bridal lehengas. They definitely don’t fall in the affordable Sabyasachi range. I am not entirely sure of the price of these Sabyasachi Lehengas. But if you are interested, you can try contacting the designers team and find it out. I just love how Stunning Sabyasachi Summer Bride’s are looking in whites, off whites, cream and ivory shades. One especially finds NRI brides choosing this palette over our desi counterparts. White is becoming a huge preference both in home decor as well as outfit choice, and I’m not complaining. It looks summer cool and the eyes actually focus on the brides face more than her dress, which I’ve always felt should be the point. Don’t you think so? These two celebs were my favourite looks from #SonamKiShaadi. They just nailed the wedding guest look. Karisma Kapoors floral lehenga looks feather light to wear, with the only heavy look coming from the blouse. Not too over the top, cutesy Sabyasachi lehengas from his Spring Summer Collection. These looked so fresh in the sveltering summer hot day wedding. ‘An Endless Summer’ is a ready-to-wear take on bridal couture, where the clothes are lighter, brighter, minimalistic and sophisticated, embodying the spirit of the modern bride who believes in being effortlessly chic. If there is one designer who has shown us how this casual ethnic style will work, its Sabyasachi. The beautiful light printed lehengas with minimal border is an excellent choice for a summer outdoor wedding. I have even seen some grooms matchy-matchy with the bride which is super cute. I mean which bride would say no to coordinated outfits? Eh? Gold, beige and other heavy sequins Sabyasachi Bridal Lehengas have been a constant favourite. The careful detailing of the buttis on the dupatta. The charm of the double dupatta, it all syncs up to make a Stunning Sabyasachi Summer Bride. Where to shop for Sabyasachi Lehengas Online? If you would like to shop for Sabyasachi lehengas from one of his flagship stores, here’s the address to Sabyasachi stores.